How I Use My Planner: Using 2 Planners for Success! 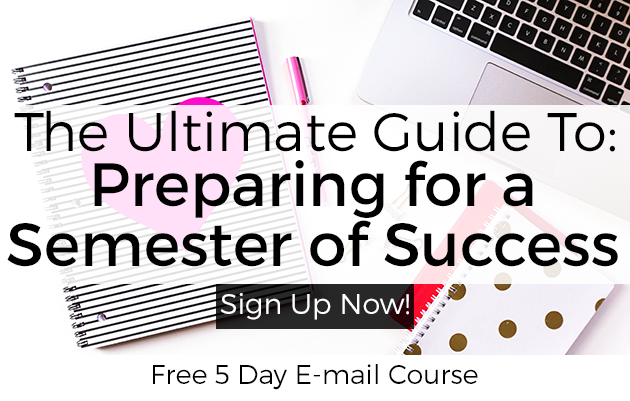 Welcome to the end of the 3rd week of the free online Productivity and Time Management Workshop! 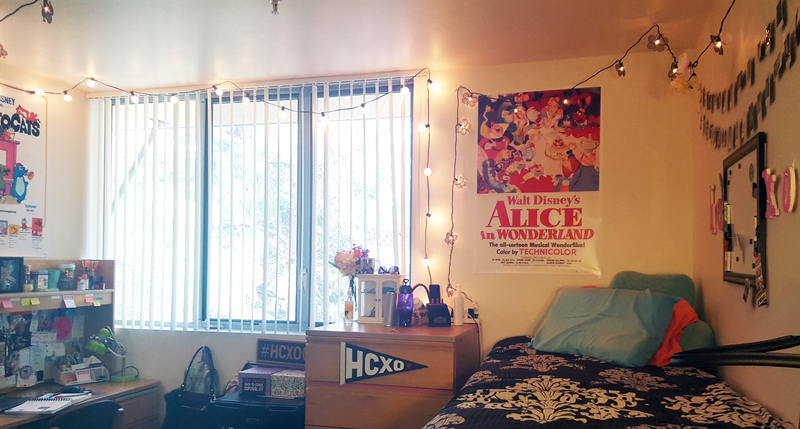 If you’ve been around here for a while, you know that I am a self proclaimed Procrastinating Overachiever. This blog started up a year ago as part of an attempt to find more to do to prevent boredom while I started college. Now I’m into my second year at my university, juggling 18 credits of classes, 3 jobs, and still managing this blog. In the past I have definitely shared my love for planners. 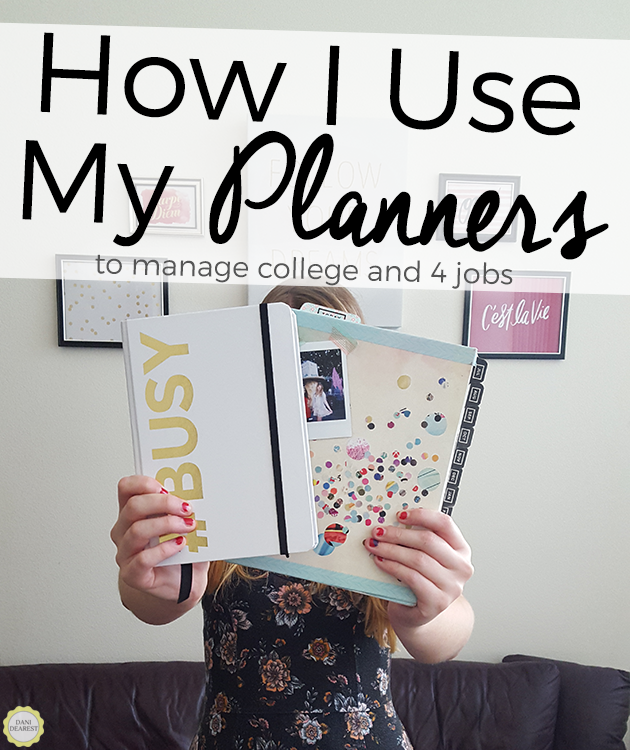 I’ve talked about how I used my first planner, how to pick out the perfect planner for you, and tips on how to juggle work and college. My planners are decorated, color coded, and seriously useful. This year, I’m doing things a little bit differently. Over the summer I ordered my Get to Work Book Planner, which I excitedly shared my first thoughts about, and I have been spending the months since then perfecting my planning style for this year. Instead of using one small planner like I did last year, this year I am using two planners everyday! This system might be the smartest thing I’ve done. This year, I am using two planners. My big, main, one is The Get to Work Book by Elise Cripe. This planner is the perfect size to fit all my decorating and organizing needs. The spiral bound lets me lay it flat on my desk. The simple black and white spread lets me color code without it getting overwhelming, and allows me to use stickers without it becoming too busy. My smaller, portable, one is the #BUSY planner by A Beautiful Mess. I love this planner because it is bound like a hard cover book. This means that I can throw it in my backpack or purse and carry it with me to work and class without worrying about it becoming damaged or crushed by my other books or laptop. The smaller planner I use primarily for it’s portability. I don’t color code this, I don’t decorate it, I don’t even write neatly in it. I use whatever pen or pencil that I happen to have in my bag, and I write down the homework that I need to complete and other deadlines that my professor gives us while in class. I also use this as kind of a brain dump. I’m big on writing things down to get them out of my head. This helps me to clear my head and help ease any anxiety because then it isn’t on me to memorize all these deadlines and to-do lists! I often find myself planning out things that I need to do after I get out of class for the day, while still in class, so this planner gives me the space I need to write those things down so I can focus on my school work. The bigger planner is where I combine all my work, color code, and organize. I am a very visual and hands on learner, so this is big for my success. When I first got this planner in the mail, I was a little taken aback by how big it was. There was no way this would fit in my backpack with my laptop and textbooks, especially not without ruining the flimsy cardboard cover or spiral bounding! For that reason, I got the smaller hardcover planner, and decided to keep my big planner primarily on my desk. I do my own version of glam planning with this planner to help me visualize my week each Sunday night. Whenever I come back from classes for the day, I copy down whatever assignments or due dates were given in class that I copied down into my #BUSY planner into this one. I use a color coding key that I attach to the removable bookmark in the planner (which also corresponds to my Google Calendar color coding) to write in what needs to be done. Then I use a black pen or marker to create a little check box area that I can use to mark things off when they are complete. I have found that using this little check box, almost like a to-do list, makes the planner look a lot better than if I were to cross out things as I complete them. That allows me to go back through and see what I completed that week, and gives me the chance to do a mental double check of each item. On top of my academic work, I also have a desk job, I manage my school’s chapter of Her Campus, I work for a local professional theatre, and I have this blog. I have found that there is not enough room to put all those things in one tiny planner! That’s why my big planner becomes my primary planner. In addition to copying over my academic work, I put in all my meeting times, social activities, and other deadlines that I need to reach. The Get to Work Book is perfect for this, because in addition to the weekly layout there are few extra areas that I can put work. I use the bottom graph-patterned area as a running To-Do list mainly for my Her Campus duties that week. I am always dealing with a lot of deadlines for Her Campus that I set for myself and this is a great way to make sure that I get them done each week. 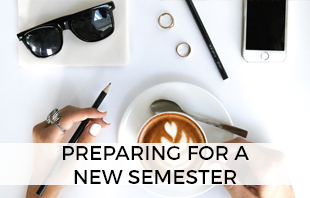 The left side is usually Her Campus, and the right side is usually either a personal to-do list or a collection of blog topic ideas to consider writing about. The Get to Work Book also has a place on the left hand side where you put your top 3 goals or tasks for the week. I have found that this is a great place to remind myself of big projects or deadlines for the week, in addition to putting them in the weekly sections. Since I am such a visual person, organizing everything this way really helps to keep my brain organized without worrying that I forgot anything. Check lists are my best friend. 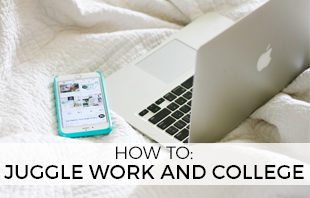 While I still have to remind myself to put my top 3 to-do’s for each day in the top section, I still find that my method of color coding, decorating, and organizing really helps me make sure that everything that needs to get done gets done. Interested in trying out some other planners? 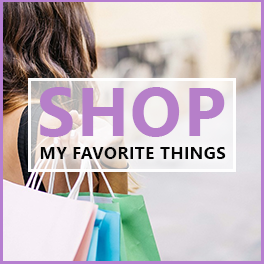 Here’s some recommendations! 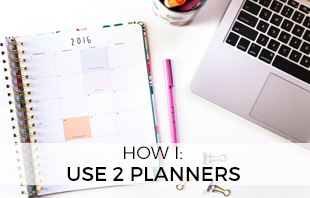 Interested in great ways to use a planner, and other related planning tools? 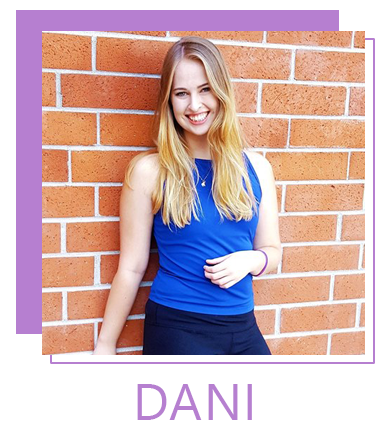 I’m sharing all my tips, tricks, and secrets for scholastic success through organization! I live by my planner too! Using two is an incredibly smart idea…I kind of do that but have a separate notebook to just jot down daily to-do lists or ideas I might have during the day, and eventually have them transfer to more permanent tasks in my actual planner. Great advice! I made my own planner in a binder that way I can have everything together. I need to get back to using it better though! I totally agree with you on making my planner “visual.” I really have to see my week for it to really sink in and remember it. I still rely heavily on good old fashioned wall calendars! I’m going to have to start using your color coding system… it’s brilliant!! Love all of your planner posts! I am obsessed with my planner, but sometimes I slack off when it comes to filling it out because I get too lazy, but you have given me so many ideas on how to make mine more interesting and useful!